The Turned Gull small. Our classic design is forever appealing, capturing the simplicity and elegance of the shore bird which never ceases to impress despite its ubiquitous presence. 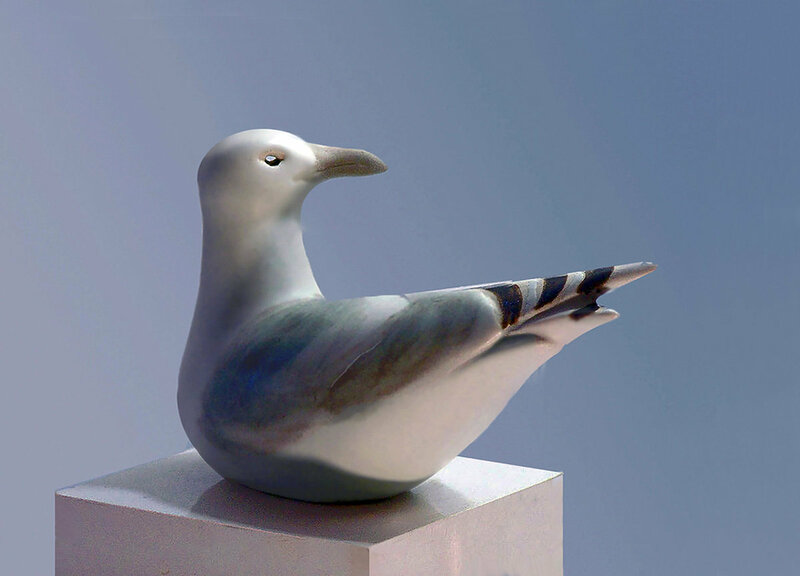 The small turned gull is 7 inches long, slip cast in white stoneware and had decorated in grey white and ebony.